Wow, I can't believe it's been a week since I got hooked up with my trainer. This has probably been the quickest week of my life! I just wanted to share a few observations that I've made of the industry as a rookie driver. First of all, to make it in this industry, you can't be easily offended. You'll hear a lot of crap on the CB. Everything from extremely ignorant racist comments, to people yelling at you about your driving, and people simply saying things to get a rise out of others. You'll hear some nasty stuff out here. I personally find a lot of humor when these "CB Rambo's" start talking, and other times find it to just be annoying. Simple solution? Turn the CB off. Problem solved. But be prepared to hear some nasty things, and try to find humor in it. Now don't get me wrong, it's not a prerequisite to have a mouth like a....well...truck driver to be out here! In fact, most of the people I've met are really, really good people just trying to make a living like the next guy. And I've heard some really great conversations on the CB. Some of the stories these guys tell are just classic. Most of them aren't true, but it helps pass the time. What kind of stories you ask? I'll tell you one I heard on the CB last night. *Insert heavy southern drawl here* "So last evenin' I was drivin down the road and a bird done hit my windshield. It hit my windshield so dern hard it actually stuck to my window. So I turned on the wipers to get it off and I'll be darned if that bird slung off and hit the bear (cop) in the lane right next to me. He gave me an evil look, then pulled me over and gave me a damn ticket!" Of course, I fall for it and ask; "What did he give you a ticket for?" His response: "Flippin' him the bird." That's just one story of several that I've heard already. And trust me, it's more funny hearing it than reading it.Most of the stories are too long to post here, but some of them are absolutely hilarious! I've also found that I love driving at night. I was coming through New Mexico the other night between about 2am and 4am. I must have gone 2 or 3 hours without seeing another vehicle traveling in my direction. The road was all mine. It becomes easy to forget that you have a 53ft trailer strapped on the back. Just turn the tunes up and drive. Who knew driving could be such a stress reliever at times? Driving during the day is also nice because you can take in all the sights. My trainer said he hates New Mexico because it's so boring and there's nothing to look at. Maybe it's just because I'm new, but I don't think he's looking hard enough. New Mexico is full of some great rock formations, very interesting little towns on Indian Reservations (lots of poverty, unfortunately), and mountains in the distance. What's not to enjoy?? I already love traveling this country, for the people, the sights, the freedom, and the relaxation. Another observation I've made is how you never know what's going to happen next. If you like your set 9 to 5 every day with a specific schedule and weekends off, truck driving is probably the worst career for you. Will your truck break down in the middle of nowhere? Will your dispatcher call up and say you need to switch loads with somebody? Will your next load be 100 miles or 1,000 miles? Do you need to deliver at 6am or 6pm?What state will you be in tomorrow? Will it be hot or cold where your going? Will the receiver unload you right away, or will you need to wait 6 hours before they touch anything? When will I get some home time? So many unknowns. I love it. Live by the moment and take each change in stride. If you need to know what's going to happen next, run away from this career. It's great for a select few though. If you're one of those people who can easily adapt to changes and live by the moment, this career will be great for you. I also discovered that driving through the Ozarks in Missouri is no picnic! Holy smokes! I've already been through the southern Rockies, but I think the Ozarks in Missouri were an even bigger challenge! Twists and turns, up hill, downhill, going 70mph one minute, then crawling up a hill at 20mph the next. I really enjoyed the challenge, but had an extra grip on the steering wheel! It was very unexpected. Problem is, in a truck, you need that momentum on the downhills to get up hill. But where do you think the cops sit? You got it, right at the bottom of the hills. Speed management is the name of the game. I missed a downshift going up a very steep incline (I think it was a 6 percent grade). Missing a shift on that big of an incline will slow you down big time, and it sure slowed me down. The guy behind me hopped on the CB to yell at me, but when I told him I was new he suddenly became quite friendly and began offering me advice. Turned out to be a really nice guy. My point is, when you're new, expect the unexpected. I would have never guessed Eastern Missouri would have been such a challenge to drive! Adding onto my truck stop post, the truck stops I've been to recently have been pretty calm. No lot lizards, nobody selling anything, just a place to park, fuel, take a shower, and eat. The showers have all been pretty nice. But I could see how certain people wouldn't like them. Every shower I've had I've left feeling clean, so that's good enough for me. I could see how a lot of people would complain about the facilities, but I think they serve their purpose. Most of the shower rooms aren't much to look at. That's for sure.However, they are clean, secure (deadbolt locks, etc). have hot water, and good pressure. That's all you really need, right? When I run across a nasty one, I'll write about it. I'm sure they are out there. I just haven't been to one yet. All in all, I'm having a ton of fun out here. My trainer is a great guy and we get along very well. Seeing this country is what I wanted to do, and I'm certainly getting that chance. I've already traveled as far west as California and as far East as Michigan. My trainer has a feeling Florida will be next.And since we're entering the produce season, he thinks we'll be making a lot of California to Baltimore and back runs. How awesome is that!?! Well, tomorrow we have to be on the road by 5am, so it's time for some sleep! Until next time, drive safely! Truck Driver Training Adventures In The Smokey Mountains! Being in training as a trucker on the road isn't easy - but when you add mountains and wrong turns into the equation, it can be terrifying! I Love Being A Truck Driver! It takes a very unique individual to succeed out here and hopefully this will shed a little light on the traits needed to make it in this business. Wow, it's been two months since I hit the road with my trainer. 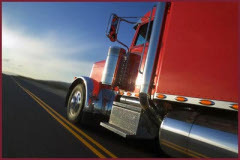 I'll share a few of my thoughts on how to survive your trucking company trainer. You meet a lot of crazy characters in trucking, and my finishing trainer is off the charts. This guys seems more like someone you'd find in a movie. Being a CDL instructor is a very unique experience. I was amazed at how much I learned myself. Here are some of the highlights I picked up along the way. CDL training will test you in so many ways, and it will go far beyond your ability to drive a truck. It will also test your patience and perseverance. 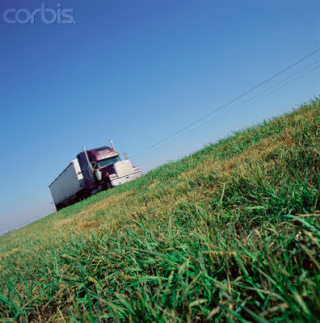 As a rookie truck driver you're going to face enormous challenges and be tested continuously. I learned a great lesson about how tough CDL training can be.